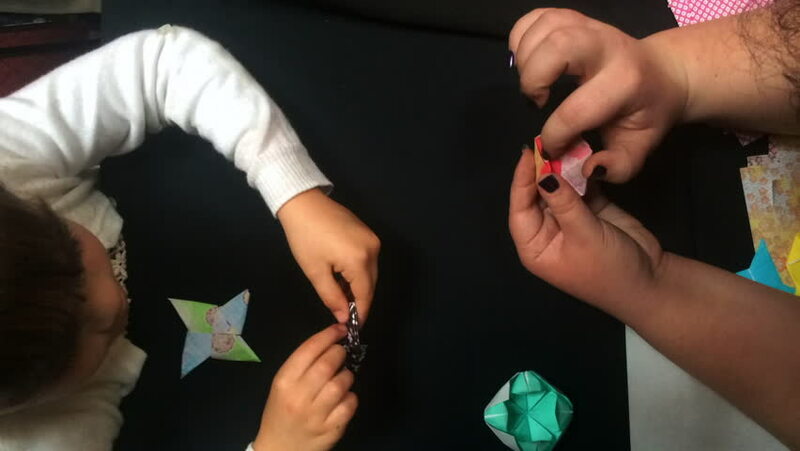 Time lapse of a little girl (age 6) learns how to fold Japanese paper origami an art of paper folding, which is often associated with Japanese culture. 4k00:20Little girl playing with colourful small blocks of a constructor. The child develops his thinking skills. Entertainment and games for children. hd00:40Closeup of hands of poker dealer with chips and cards. Group of professional poker players gather at players table gambling in poker tournament, championship . 4k00:26Closeup hands of mom and son building molecule models of colored plastic construction set. hd00:29KRABI, THAILAND - JULY 23: Thai street vendor fries small quail eggs in the boiling pan at Chawfa street market on July 23, 2015 in Krabi, Thailand.